Her testimony as prepared may be downloaded as a PDF or read below. 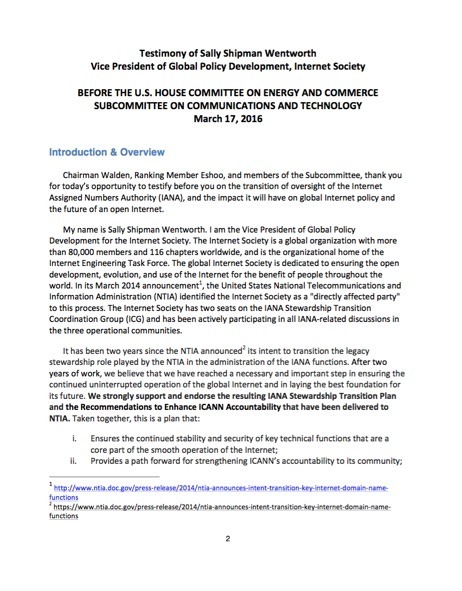 The Internet Society thanks the Subcommittee for the opportunity to testify on the transition of the IANA functions to the global multistakeholder community. After two years of work, we believe that we have reached a necessary and important step in ensuring the uninterrupted operation of the global Internet and in laying the best foundation for its future. We strongly support and endorse the resulting IANA Stewardship Transition Plan and the Recommendations to Enhance ICANN Accountability that have been delivered to NTIA. Taken together, this is a plan that: 1) Ensures the continued stability and security of key technical functions that are a core part of the smooth operation of the Internet, 2) provides a path forward for strengthening ICANN’s accountability to its community; and 3) meets the criteria set by the NTIA in its original announcement. Through a global, multistakeholder process, the community has reached consensus on a proposal that will provide operational stability, reliability, and continuity for the global Internet. In short, given the original intent to transition the IANA functions, the maturity of the multistakeholder process by which the transition plan was developed, and the strength of the plan itself, the Internet Society believes that now is the time to complete the transition nearly 20 years after it was first envisioned. Chairman Walden, Ranking Member Eshoo, and members of the Subcommittee, thank you for today’s opportunity to testify before you on the transition of oversight of the Internet Assigned Numbers Authority (IANA), and the impact it will have on global Internet policy and the future of an open Internet. My name is Sally Shipman Wentworth. I am the Vice President of Global Policy Development for the Internet Society. The Internet Society is a global organization with more than 80,000 members and 116 chapters worldwide, and is the organizational home of the Internet Engineering Task Force. The global Internet Society is dedicated to ensuring the open development, evolution, and use of the Internet for the benefit of people throughout the world. In its March 2014 announcement , the United States National Telecommunications and Information Administration (NTIA) identified the Internet Society as a “directly affected party” to this process. The Internet Society has two seats on the IANA Stewardship Transition Coordination Group (ICG) and has been actively participating in all IANA-related discussions in the three operational communities. iii. Meets the criteria set by the NTIA in its original announcement. Accordingly, we now urge the United States government to approve the final community-developed proposal before it. 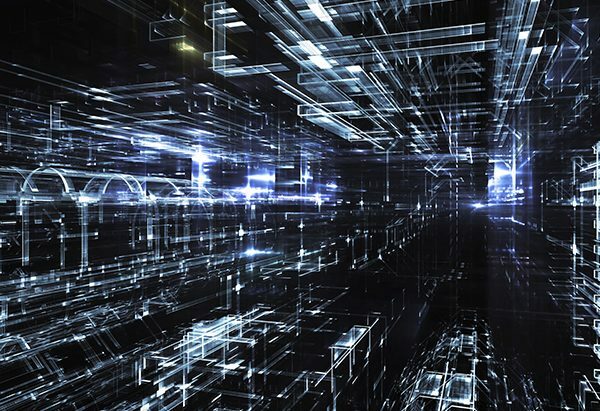 The Internet began as a research project nearly a half-century ago, and today’s Internet is made up of billions of connected devices and thousands of networks. Though most of us never think about it, in order for these devices and networks to connect and communicate with each other they must use common standards, protocols, and parameters. In essence, the IANA functions ensure that Internet users successfully get to the places they want to go on the Internet in a reliable fashion. 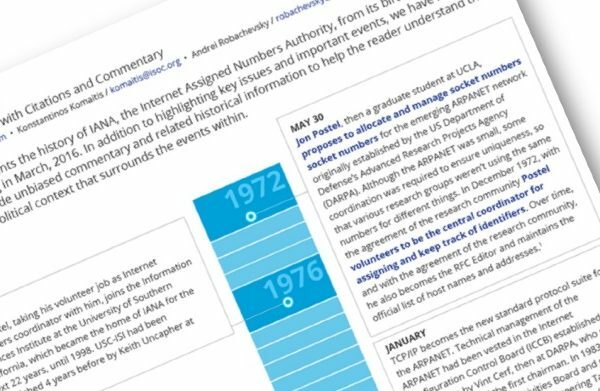 In its earliest days, dating back to 1972, the IANA Functions were administered by one individual, Dr. Jonathan B. Postel; later, the administration of the functions was housed at the University of Southern California Information Sciences Institute (USC-ISI), where Dr. Postel began working in 1977. In 1995, the IANA functions were included as part of a research contract between the Defense Advanced Research Projects Agency (DARPA) and USC-ISI. In 2000, the Department of Commerce NTIA contracted with the Internet Corporation for Assigned Names and Numbers (ICANN) for performance of the IANA. This arrangement remains in place today. “IANA Functions” is the name used today to refer to the coordination, and publication of three sets of Internet identifiers. Some of these identifiers are parameters, such as those used by Internet protocols like HTTP; some of them represent numbering resources, like Internet addresses; and, others represent domain names in the Domain Name System (DNS) root zone. Regardless of the type of identifier, the IANA functions ensure that the entries are managed for uniqueness and made available in publicly accessible registries or tables so there can be no confusion. For an easy-to-understand explanation of the IANA functions, the Internet Society has published “The IANA Functions: The Basics” . Each of the three IANA functions is associated with a particular community that has a direct operational or service relationship with the IANA functions operator—specifically, the Internet Engineering Task Force (IETF) for protocol parameters, the Regional Internet Registries (RIRs) for number allocations, and the ICANN community for names. These communities have often been referred to as the “operational communities”  or “directly affected parties”  and it is these communities that define the policies for the values that IANA keeps track of. The U.S. Government’s contracting role, referenced above, in the IANA functions was always viewed as a temporary measure – a “holding pattern” – until the appropriate private sector and multistakeholder mechanisms could be put in place to address the needs and realities of the growing Internet. This has been the policy of several Administrations as was first outlined in the 1998 Statement of Policy, Management of Internet Names and Addresses. The development of the 1998 policy statement was guided by consultations and public input, including over 430 written comments from public and private sector stakeholders from around the world. So, it is important to remember that this transition was envisioned as not just a policy of the U.S. Government, but also an expectation on the part of a diverse range of stakeholders from the United States and beyond. iv. Maintain the openness of the Internet. Further, NTIA specified that the transition proposal must not replace NTIA’s role with a government-led or intergovernmental organization solution. The IANA Transition Coordination Working Group (ICG) proposal provides a plan that meets the criteria set forth by the NTIA, and will ensure the continued stability of key technical functions that are a core part of the smooth operation of the Internet. The complementary ICANN Accountability Proposal, developed by the ICANN Cross Community Working Group, is equally important because it provides a path forward for strengthening the stewardship role of the ICANN community. The accountability recommendations deepen and enhance ICANN’s legitimacy and stability as the provider of the IANA functions. The Internet Society believes that, together, the IANA Stewardship Transition Proposal and the Recommendations to Enhance ICANN Accountability meet the principles set forth by the United States Government. As we enter the next phase of the Internet’s history that will reach billions of new users and will continue to transform societies, the NTIA principles provide a clear roadmap for the future. They are rooted in the origins of the Internet, have been corroborated through international consensus, and are designed to ensure the long-term growth and stability of the Internet. Future administration of the IANA functions requires continued – and strict – adherence to these criteria. My organization and countless others around the world are committed to working together and working diligently to ensure that these core principles are upheld in the years to come. The Subcommittee can be assured that the proposed transition upholds the multistakeholder model. The operational communities that establish policy for the identifiers in the IANA registries all rely on participatory and open processes that will remain in place post-transition. The final proposal is the outcome of discussions conducted under inclusive and participatory processes of the relevant communities. The various processes were transparent and open; mailing lists were inclusive and publicly archived; and, throughout the process, communities held open, in-person meetings and open teleconferences. Under the proposed plan, operational communities maintain their bottom-up consensus processes with regards to the IANA functions; they also maintain the ability to make their own arrangements and agreements for the performance of the IANA functions. Thus, we agree with the ICG’s assessment that the combined proposal meets the NTIA principles: the post-transition policy processes for IANA will continue to be based in multistakeholder arrangements. With regards to the interrelated ICANN Accountability Proposal, which was adopted by acclamation at the ICANN 55 meeting earlier this month, we believe that it directly addresses the possibility of a hostile “takeover,” something of utmost importance for the future of the Internet. No single party has undue control, and there are protocols in place to prevent any individual, organization or government from seizing jurisdiction or “elbowing out” others from the stewardship process. The proposal also is crafted so that IANA remains independent of any government or intergovernmental organization. The Internet Society is confident that the current proposal creates adequate mechanisms to prevent capture by governments or other entities ensuring the core IANA functions will continue to operate free of undue influence. One way this is achieved is through the enhanced community powers, which now exist to ensure ICANN’s accountability to its stakeholders. The engagement-escalation-enforcement approach provides several layers of opportunity for the community, the ICANN Board and ICANN staff to work together to resolve disputes through consensus instead of turning to the courts. This constructive approach keeps power where it belongs—with the multistakeholder community. The Internet Society believes that the IANA Stewardship Transition will maintain the security, stability, and resiliency of the Internet Domain Name System. A key purpose of the IANA functions is to ensure global uniqueness in the allocation of Internet names, numbers, and protocol parameters. Ensuring that the content contained in the IANA registries is accurate, available and transparently administered provides for the security, stability, and resiliency of the overall system. Operationally, the final transition proposal maintains the appropriate separation between policy development and implementation, which is key in further ensuring the overall stability and resiliency of the Internet. With respect to the IANA department, the separation of the Post-Transition IANA (PTI) within ICANN ensures independence of policy development from the provision of service. Further, the proposal foresees the need to ensure appropriate staffing, resourcing and know-how to run the IANA functions. The proposal also includes an important shared commitment to performance and performance metrics that are crucial for the IANA functions operation. The United States Government has always been very explicit about the need to preserve the security, stability, and resiliency of the DNS. This requirement has been part of its various agreements  and Affirmation of Commitments  with ICANN. Through the proposal on ICANN Accountability, ICANN’s role to ensure the security, stability and resiliency of the Domain Name System will be made explicit in revisions to ICANN’s bylaws that clarify ICANN’s Mission and a series of commitments in this regard. Through periodic reviews, the ICANN Board and community remain committed to enhance the operational stability, reliability, resiliency, security, and global interoperability of the DNS. As noted above, each of the IANA functions is associated with a community that has a direct operational or service relationship with the IANA functions operator—specifically, the Internet Engineering Task Force (IETF) for protocol parameters, the Regional Internet Registries (RIRs) for number allocations, and the Internet Corporation for Assigned Names and Numbers (ICANN) communities for names. The post-transition IANA arrangements must continue to support the performance of the IANA functions in a predictable, reliable, and responsive way, consistent with operational excellence. They should continue to be performed in a neutral and transparent manner. Like any service, they should be periodically reviewed to ensure they are being performed in line with customer needs and expectations. The three operational communities have all confirmed that they are satisfied with the performance of the IANA functions by the IANA department of ICANN. Importantly, because each operational community will have a contractual relationship with the IANA functions operator under the proposed plan, each operational community will have the right to select a new entity for the performance of the IANA functions as a last resort. These contractual relationships provide important clarity and reflect the needs and expectations of the operational communities. 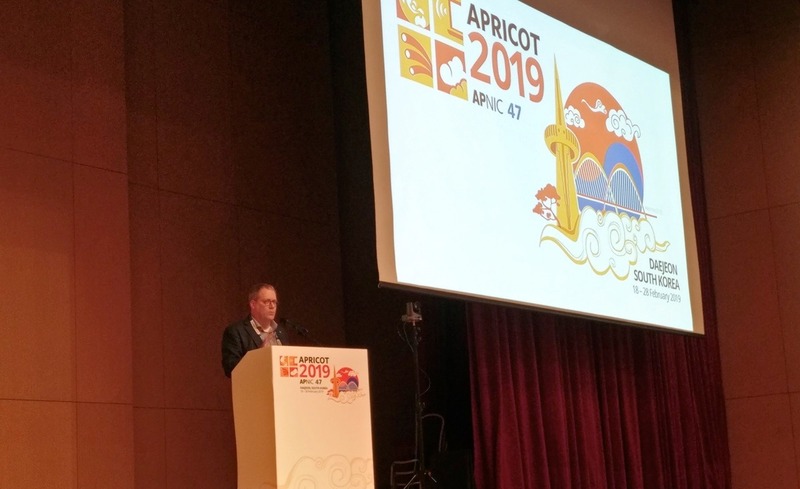 Of course, the operational communities will need to update contractual agreements with ICANN for the provision of the IANA functions in order to align with community expectations. These agreements, which are currently under negotiation, must be completed prior to the transition. In addition, by enhancing ICANN accountability the plan ensures that the “customers” of the names functions have the mechanisms in place needed to both identify and address performance issues, should they arise. Openness is a fundamental value and characteristic of the Internet, and promotes trust and confidence. In reviewing the transition proposal, the Internet Society believes that, post-transition, the IANA functions will remain open and will continue to contribute to the openness of the Internet itself. For example, the processes by which policies are set by the IANA operational communities will remain open to anyone wishing to contribute. Documentation and discussions related to IANA functions’ policy development, such as drafting proposals and email discussion lists, are also openly available. Furthermore, information on the identifier allocations made by the IANA function itself is freely available on the Internet – there are no membership requirements or fees associated with accessing or using it. Similarly, registries related to IANA are open and in the public domain and it is the expectation of the IANA directly affected parties that will remain so. The principle of openness also means being open to changes and evolution in architecture and systems. On the Internet there are no permanent favorites. Ultimately, the use of the IANA functions is a choice by the global community because of the value it brings to the Internet. There will undoubtedly be advances in technology, changes to the underlying infrastructure, and the development of new ways to navigate on the Internet. These may mean that the roles of the DNS and IANA functions will change over time. The transition proposal must not replace NTIA’s role with a government-led or intergovernmental organization solution. In the 1998 Statement of Policy, it was noted that that NTIA’s stewardship of DNS functions would be temporary and phased out. It also recognized that given the growing global and commercial nature of the Internet it was neither tenable nor appropriate for the U.S. Government to continue in this role or for any other government to assume it. NTIA’s role as temporary steward of the IANA functions gave stakeholders the opportunity to develop and test new structures that, in the long run, would ensure the non-governmental management of the broader DNS. These structures have emerged through bottom-up, multistakeholder collaboration, consistent with the traditions of the Internet. This basic premise is also reflected in ICANN’s accountability enhancements. Under the new proposal, advice from the ICANN Governmental Advisory Committee (GAC) needs to have the full consensus of the governments before the ICANN Board is required to act on it. In this context, consensus is understood to mean the practice of adopting decisions by general agreement in the absence of any formal objection. Moreover, the new proposal also foresees the scenario where the broader ICANN community can hold the ICANN Board accountable for following GAC advice that does not follow its own multistakeholder and bottom up policy development process. The IANA stewardship transition does not replace NTIA’s role with a government-led or inter-governmental solution. We believe that the transition proposal puts in place robust and enforceable procedures that will prevent any single group from becoming dominant or controlling. Since the early days of Internet development, the United States Government has consistently supported the development of the Internet premised upon the inclusive and open participation of stakeholders. Furthermore, numerous bipartisan resolutions of the U.S. Senate and House of Representatives  have affirmed support for the multistakeholder model of Internet governance. In particular, this Subcommittee has been deeply engaged in these issues; we thank you for your long-standing support and engagement in multistakeholder Internet governance. The Internet Society believes that a successful IANA transition will strengthen the multistakeholder model, which has been a foundation for the Internet’s success. Multistakeholder governance processes reflect a long-standing approach to the Internet’s operations and governance; indeed, they are at the heart of the Internet’s global and operational growth. The underlying technical philosophy of the Internet rests on the notion of stakeholders working together within an inclusive framework that is flexible enough to meet evolving individual requirements, while also creating a system that meets the needs of the whole. From the way the technical community has historically created standards to the way public policy issues are addressed, multistakeholder participation has always been key in allowing the healthy evolution of the Internet. The IANA transition process not only reaffirms, but further strengthens this model. Over the past two years, the community has engaged in an incredibly broad, high profile test of the multistakeholder model. Through diverse and inclusive channels of participation, a wide range of stakeholders initiated a global dialogue that led to a tangible outcome: a transition proposal that meets the NTIA criteria. The culmination of this work represents a significant milestone for both the continued operation of the Internet and for the multistakeholder model of Internet governance. The transition plan will ensure the IANA functions remain a point of diverse partnership and collaboration and will strengthen fundamental factors that led the Internet from university laboratories to the ubiquitous worldwide network that drives economic growth and innovation today. The plan provides continuity for the processes and principles that have served as a foundation for the Internet’s growth and development to date. The communities have worked hard to ensure that, after the transition takes place, the IANA functions will continue to operate in a predictable manner, consistent with the need to maintain the security, stability, resiliency and openness of the Internet. The Internet community is clearly committed and prepared to carry out stewardship of the IANA functions in an open, inclusive, transparent and accountable manner. Given the original intent to transition the IANA functions, the maturity of the multistakeholder process by which the transition plan was developed, and the strength of the plan itself, now is the time to complete the transition nearly 20 years after it was first envisioned. In conclusion, Mr. Chairman and members of the Subcommittee, we believe that by adhering to the core Internet principles outlined by NTIA in its 2014 announcement, we will help the Internet continue to evolve. If the current IANA functions are looked upon as starting points, and not artificial limits to growth, we believe that 50 years from now, the Internet will only be more robust, more inclusive and more resilient. Collaborative governance, cooperation, and collaboration between and among stakeholders is the only viable path forward for a sustainable, global, independent, open, and empowering Internet of the future. The IANA Stewardship Transition Plan is a testament to this approach. The consensus the Internet community has reached on the proposal transmitted to the NTIA confirms the strength of the multistakeholder process in tackling issues important to the continued growth and evolution of the Internet. For us, this is “the Internet way”. 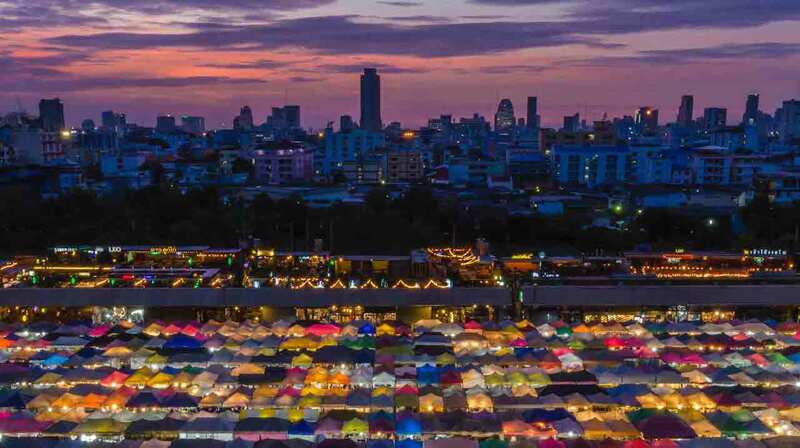 It isn’t always pretty and it can be very complex to navigate, but this process shows that the multistakeholder model can deliver concrete solutions to complex problems. Yet there is still more and careful work to be done to turn the promise of the final proposal into reality. The community now has a responsibility to ensure that the plan, if approved by the NTIA, is faithfully and carefully implemented in a timely way. Congress has played an important leadership role in ensuring a smooth transition. I urge the Subcommittee to remain diligent in its oversight as the process moves forward. Again, I would like to congratulate the Internet community for reaching this critical milestone. The Internet Society remains fully engaged in seeing this most important transition to its finish, and welcomes further collaboration with the Subcommittee and its Members as this process continues. Thank you for considering my views.